Updated 03-20-19. Among the most abstract steps in creating, designing, building and operating a pho restaurant is to start with a solid concept. A pho restaurant concept. They have just signed a lease (or found a location and are in negotiation of the lease), and they need help with a business plan and how to build a pho restaurant. 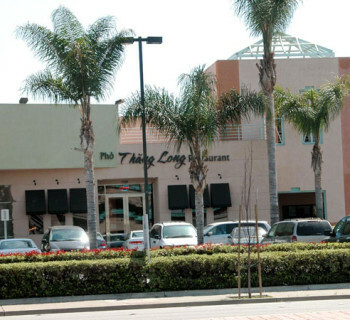 They want to build a pho restaurant using certain other existing pho restaurant(s) as a model. You know, "help me build a restaurant like that one". They want to serve pho and all kind of Vietnamese foods so that "everyone" can come. So what's the problem? The problem is, there is no concept to follow. There is no plan to follow. It seems many just want to dive in head first, then make things up as they go. But it doesn't and shouldn't have to be that way. The better way to build a solid pho restaurant business is to create a good concept from the beginning. In this article, I discuss what a pho restaurant concept is, why it is important, and how you go about implementing your concept in your pho restaurant. 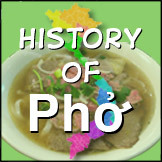 What Is A Pho Restaurant Concept? This is where you demonstrate to yourself, and to your partners or investors if applicable, that you understand what you're doing. Take a look at the items below. They all make up what is called a restaurant's concept. A concept is not a single thing. In reality, it is a combination of many things. It is what makes your brand, what attracts your customers, and what keeps them coming back. It is what governs how you run your business. I will discuss these and other factors in more detail in future articles. Why Is Having A Restaurant Concept Important? Even if you follow only the second definition which is more specific about food and without the words "generous and friendly treatment", you still have "for people who are the guests or customers" which implies certain behaviors that the host (restaurant owner) should display. So it's clear that opening a pho restaurant is not just about making good food or good pho. In fact, food is specifically mentioned only in very few areas in the list above such as the menu and the service. Much of the rest all have to do with the experience, the hospitality and the long-lasting impressions that you should give your customers. Think about why you go to certain restaurants, and why you revisit the same restaurants again and again. It may be about the food, but there are a lot more reasons for you to keep returning. It's because you like the concept and the experience you have there, and wouldn't mind experience it again and even tell your friends about it. 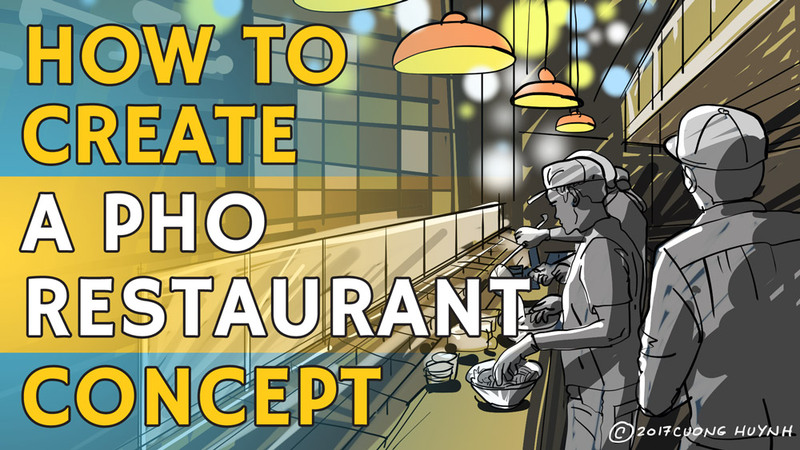 How Do You Implement Your Concept In Your Pho Restaurant? With a good understanding of what all constitute a pho restaurant concept, it's much easier to develop one, then implement it for your pho restaurant. Think of it as a 3-step process. First you understand what it is (and what it isn't), then you create one that works for you (second step), and as the third step, implement it, make it happen. For now I'll skip step 2 because it's very specific for each particular concept, and just touch on the implementation part. With everything you do (every procedure, every operation, every step, from the back door to the front door, to marketing, promotion and advertising), ask yourself this question: "Does this meet the vision of my concept, and/or help me communicate/achieve my concept?" If you make it a habit to always do these 2 things, then you're on your way to creating a pho restaurant, from successfully opening it, to successfully running it for the long term. In summary, without a well defined and strong pho restaurant concept as a foundation, you're just doing an experiment and leave your success up to luck, or for most people, lack of it. As I've said elsewhere, if you have money to play with, then it's probably much more fun and much less work to gamble in Vegas than to open a pho restaurant without a solid plan and a well developed concept. For help with your pho restaurant, book a FREE half-hour pho restaurant consultation and get your questions answered. 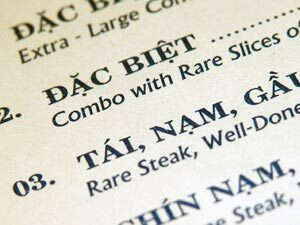 Pho-only restaurants or with other Viet dishes on menu too? Pho only; don't need nothin' else. Pho only most of the time. Equal visits pho-only and mixed menu. Mixed menu most of the time. Mixed menu only; don't care for pho. Do you take leftover pho to go in a takeout container? No No No Never Ever! Sure, all the time for later meals beyond 2 hours. A few times to finish within 2 hours.